A highly-experienced site manager for Hartford Homes has been awarded a prestigious building industry accolade for the third time in his career with the local developer. 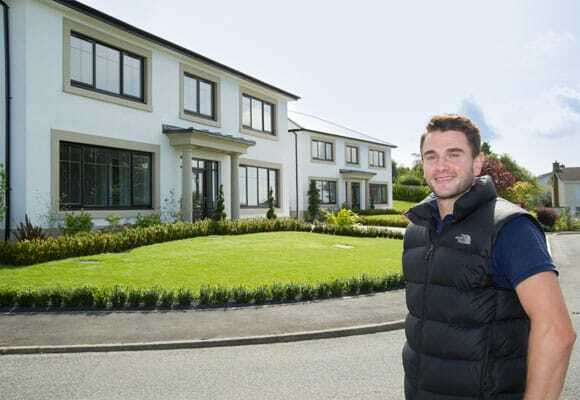 Dominic McGreevy has scooped a Quality Award in the first round of the NHBC ‘Pride in the Job’ competition, honouring his dedication to building homes of exceptional quality at Hartford’s Castleward Green development in Douglas. Dominic, who is the only Isle of Man site manager to be recognised in this year’s competition, said: “I'm delighted to accept my third PITJ award on behalf of Hartford Homes. Completed earlier this year, Castleward Green is an exclusive development of two luxury five bed detached homes set just off Ballanard Road on the outskirts of Douglas. Now in its 37th year, Pride in the Job is the most highly regarded competition in the house-building industry dedicated to recognising site managers who achieve the very highest standards. Competing against more than 16,000 site managers from across the UK, Dominic was one of only 450 to be selected to go through to the next round and he will now go on to compete in the regional awards for Northern Ireland and Isle of Man in November. Dominic, who has worked for the family-run building firm for more than seven years, was previously crowned a regional winner in 2015 for his work on a super-luxury, 16,000 square foot property at Montreux Court, Douglas. He also picked up a Quality Award in 2012 for Royal Building, Onchan.